Learn how you can start your dream career as a professional dog groomer! Find out what it takes to get started in the industry, and how to succeed. You’ll learn the important characteristics every dog groomer possesses, and what your grooming career will look like. Find out how passion, patience, and problem-solving help each groomer become successful. You’ll know what your duties are, including the most common tasks you’ll perform. Discover the various jobs available for professional groomers, including work in vet offices, animal shelters, and grooming salons. Learn the typical hours a groomer works, as well as how to create the optimal grooming space. Start your dog grooming career on the right path with an easy 3-step process. You can open your own grooming business, or even become a mobile groomer! 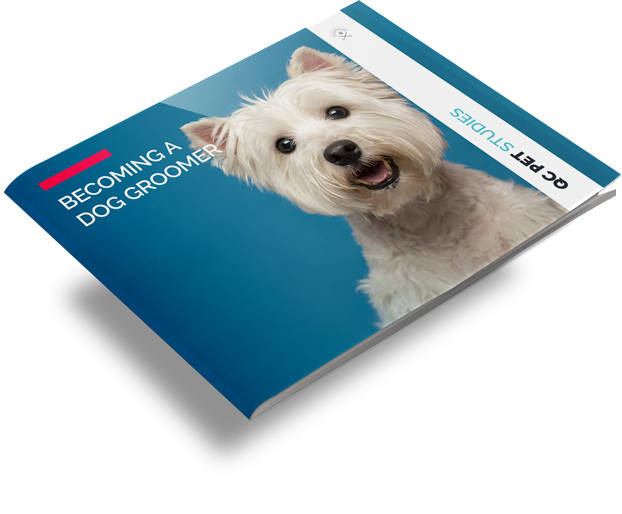 Download the free E-book and learn what it takes to become a professional dog groomer! Know the qualities and responsibilities you’ll have once you get started in the industry.